With spring and sunshine in town (and after a nasty stomach flu) I’m done with the chocolaty stuff for a while. So time to get some lovely fruit in my cakes for that fresh and juicy flavour! 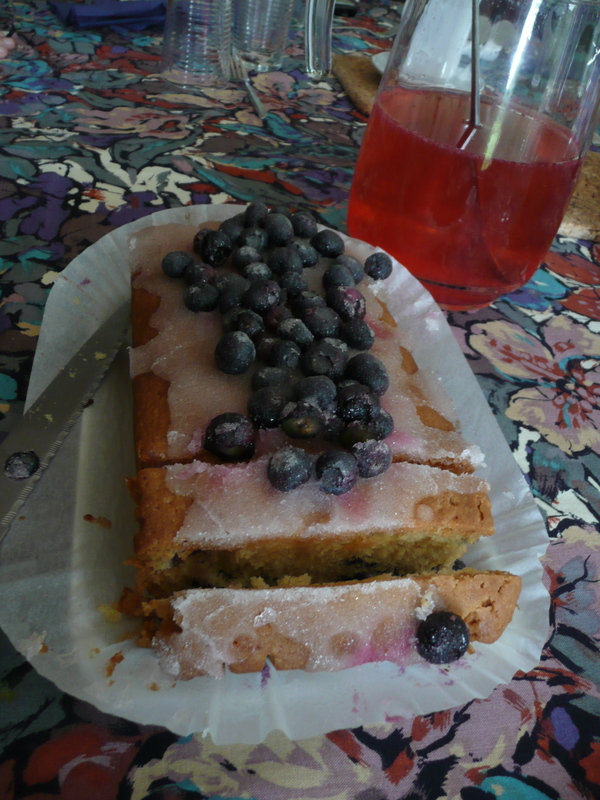 And what better way to do so then with a Cherry and almond cake from one of my trusted GoodFood magazines. Preheat the oven to a 140C (all my oven temperatures are for a fan oven, just add 20 degrees for a regular one) and line the base and sides of a 20 cm round cake tin. Beat together 200 g softened butter and 200 g caster sugar until light and fluffy, then beat in 4 eggs, one by one. Fold in 1/2 tsp almond extract, 175 g self-raising flour, 85 g ground almonds and 1/2 tsp baking powder, followed by 300 g glacé cherries and 100 ml milk (if you use the cherries whole, they will end up at the bottom of the cake like in the picture. If you prefer them more scattered, try quartering them). Don’t worry if the mixture is still a bit lumpy or if it looks like it’s splitting a bit, it will work just as well! Scrape the mix into the prepared cake tin then bake for 1 hour – 1 hour 15 min. A skewer inserted in the middle should come out clean. Leave to cool in the tin before serving. Due to the moist cherries, this cake will keep very well for up to 5-6 days, so you can take a piece to work for dessert every day!